Rio Mesa PFO representing at the OUHSD Parent Council Quarterly Meeting! Spartans Elevate-Together We Rise! WE>me! 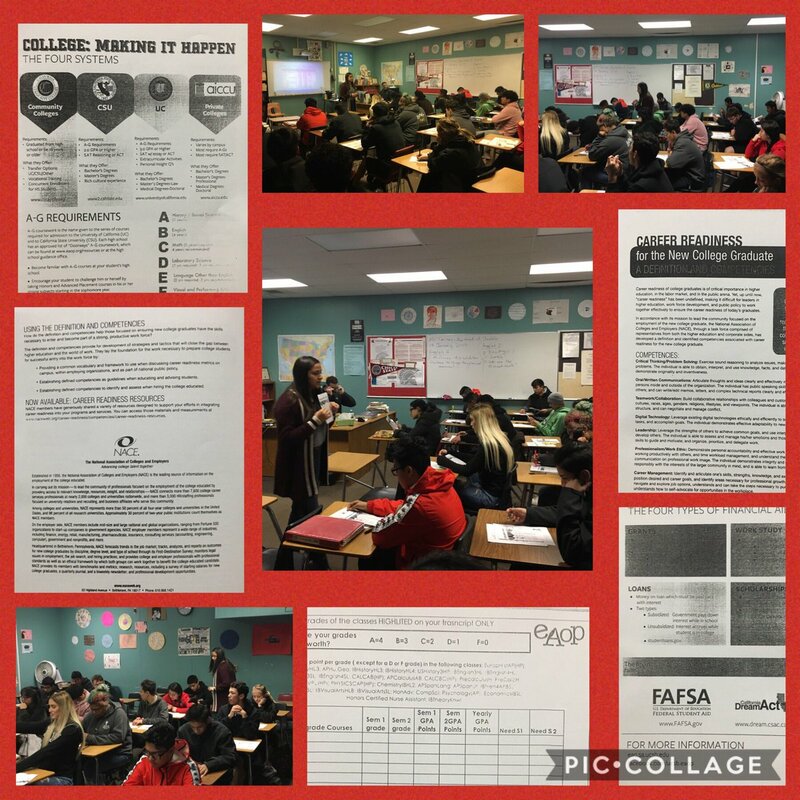 Big props to our wonderful EAOP UCSB Outreach Counselor, Karen Correa, on her efforts over the past couple days (and continuing) to go into classrooms to see every 11th grade student to give them vital info for graduating College & Career Ready! Spartans Elevate-Together We Rise! 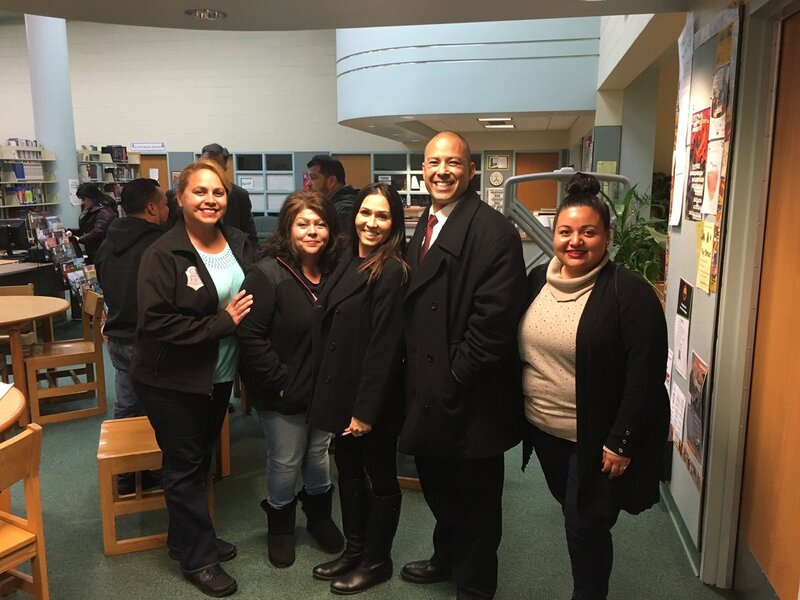 RMHS Counselors along with community college reps held Financial Aid Night on Thurs, Jan 17thth. Our next Financial Aid Night is Wed, Feb 13th, at 6pm in Rm 34. All seniors need to fill out their financial aid application by the deadline, March 2! Don’t miss out on money for your future! OUHSD, in conjunction with the Oxnard Police Department, is now accepting applications for their SPRING Community Law Enforcement Academy. If you are interested in a career in law enforcement, emergency services, security, or forensic science, this is a perfect opportunity for you! This opportunity is only available for 5 seniors. You must be on track for graduation, have at least a 2.0 GPA, and have excellent attendance. Classes will be held at Pacifica High School on Tuesdays and Thursdays from 4pm-6pm, for 12 weeks, including some Saturdays and students will earn 5 credits. Students are required to provide their own transportation. Students are selected through an application process and only 5 spots are available. If you are interested in applying, please see Mrs. McDevitt in the counseling office or see Ms. Magana in the College and Career Center for an application. Applications are due to Mrs. McDevitt by FRIDAY, FEBRUARY 8, 2019. OUHSD Pre-Engineering Program is now accepting applications for their SPRING Program. If you are a have a strong interest in engineering, please see Mrs. McDevitt in the counseling office or Ms. Magana in the College and Career Center for an application. The classes are held on Tuesday afternoons from 3:15-5:30pm at the Port Hueneme Division Naval Surface Warfare Center. Selected students will have the chance to work with engineers and have hands-on experiences to explore the fields of electronic and mechanical engineering. Students must be able to provide their own transportation to and from. Applications are due Thursday, February 7, 2019 by 3:30pm, no exceptions. There are only 2 spots available. Class begins Tuesday, February 12, 2019. Our district is providing an amazing opportunity to learn more about global trade and logistics at the Port of Hueneme. If you are interested in a hands-on learning experience that will introduce you to the diversity of employment and operations of the Port of Hueneme, there is an after-school opportunity available for you called “Global Trade and Logistics Program”. Students accepted into the program will hear from speakers in the Fresh Produce Industry, Automobile Transportation, Shipping and Logistics, to name a few, and what it takes to run such a Port and Shipping Lines. Be sure to take advantage of this program if you are interested in these career areas, or if you are not sure what career path to pursue. Students must be able to provide their own transportation one day a week (on Tuesdays 3:30-5:00pm). If you are interested in this great opportunity, please see Mrs. McDevitt in the counseling office or Ms. Magana in the College and Career Center for an application. Applications are due on Friday, February 8, 2019 by 3:30pm. Program starts Tuesday, February 12, 2019. Our next ELAC and Migrant Education meeting is Thursday, January 24th, at 6:30pm in the RMHS Cafeteria. Everyone is welcome! 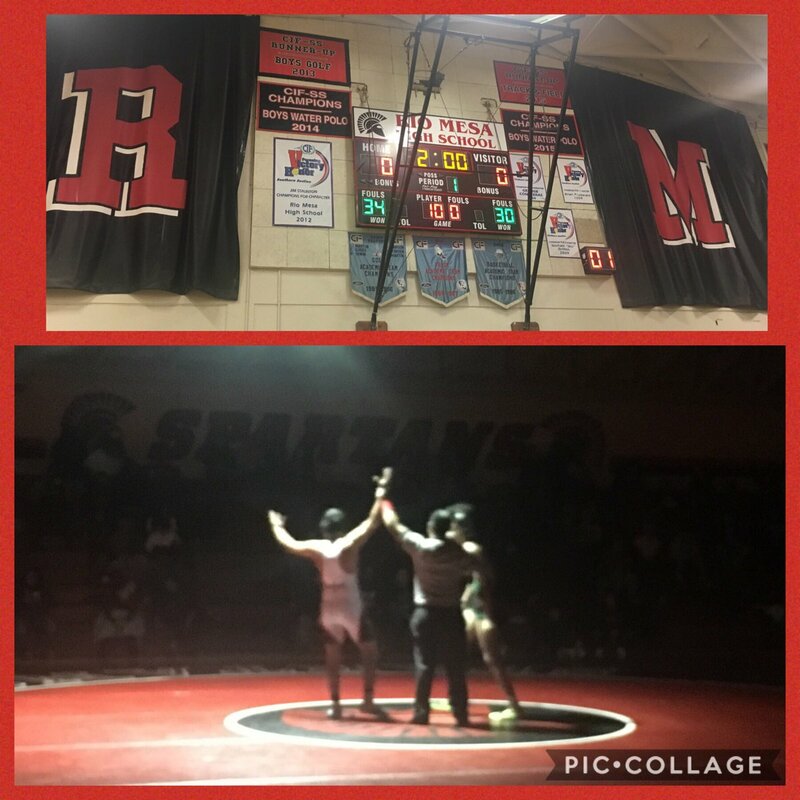 Big congrats to RM Wrestling on their victory over Pacifica HS. JV won 36-31 and Varsity won 34-30 in a tough fought league battle. Spartans move to 2nd in league. Spartans Elevate-Together We Rise! WE>me! 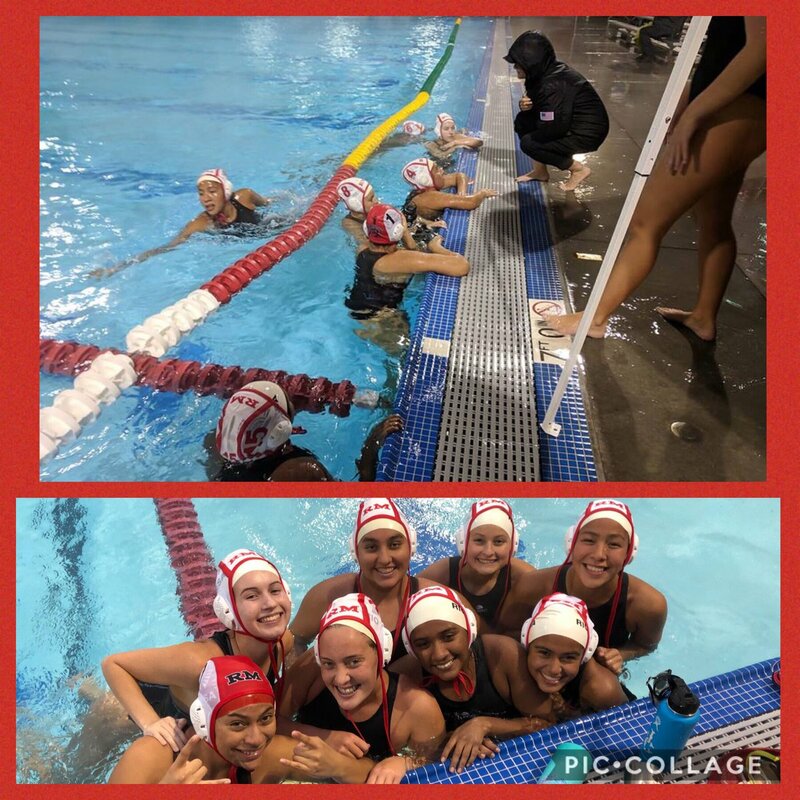 Late congrats to RM Girls Water Polo on their 14-4 win over CI yesterday! They battled to stay dry through the rain 😉 to get the win! Spartans Elevate-Together We Rise! WE>me! 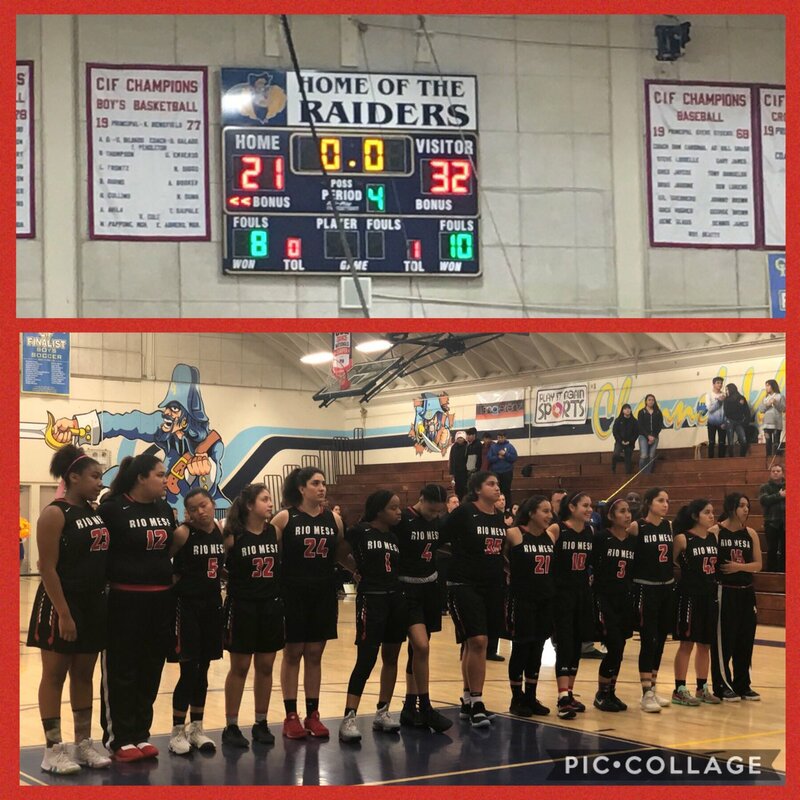 Congrats RM Girls Varsity Basketball on their 32-21 win over CI on Tuesday night in a hard fought game. Proud of how our girls showed their Spartan pride tonight! Spartans Elevate-Together We Rise! WE>me! 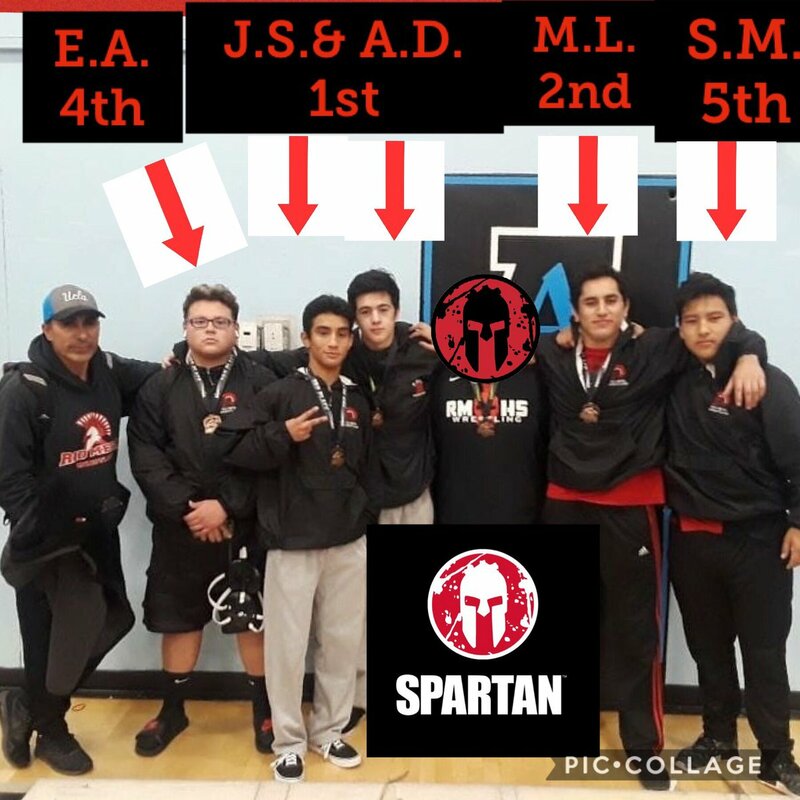 Congrats RM Varsity Wrestlers who competed @ San Ynez Tournament. RM had 3 finalists & 2 champions. Anthony Danucci & Jesse Silva were champions. Marco Licea took 2nd. Also medalist: Elicieo Aguayo 4th; Jovani Pinzon (not photographed) & Sam Marquez 5th. WE>me! Congrats to RM Girls Wrestlers who competed at the Bonita Top Gun 32-woman bracket Tournament at Bonita HS. 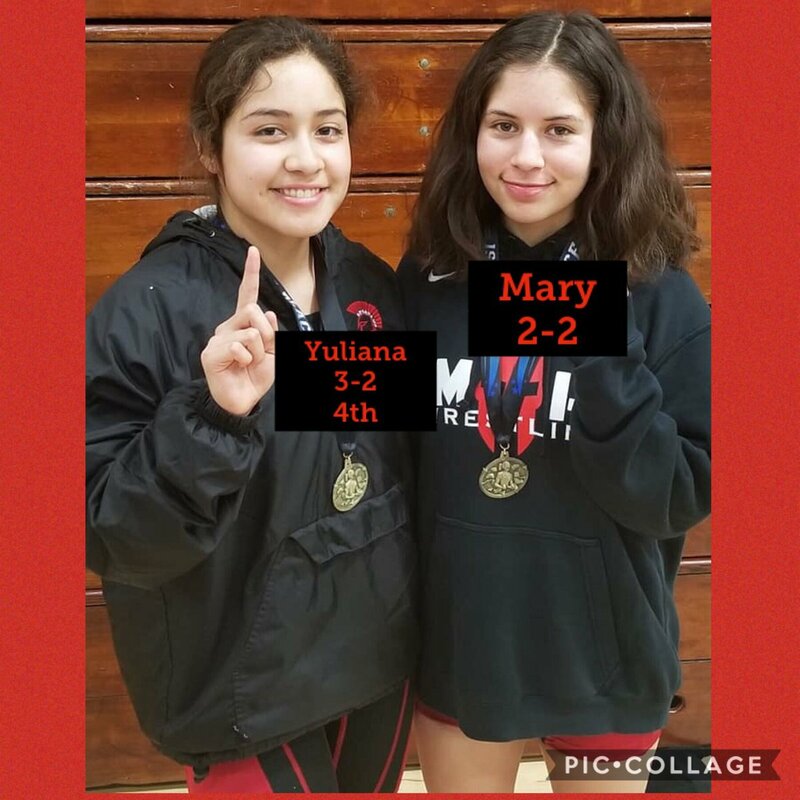 Yuliana Tapia went 3-2 to finish 4th place and Mary Cortez went 2-2 overall! Spartans Elevate-Together We Rise! WE>me!